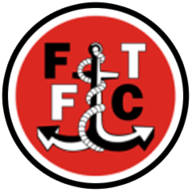 Fleetwood cruised into the final of the northern section in the Johnstone's Paint Trophy with a comfortable 2-0 win over near neighbours Morecambe. Steven Pressley's side bossed the first half at Highbury on Tuesday night but struggled to turn pressure into goals. Antoni Sarcevic had a shot deflected over the crossbar, Bobby Grant twice blasted wide from 20 yards and Eggert Jonsson grazed the bar with a header from six yards. With the wind behind them, Morecambe upped their efforts after the break - Amari'i Bell forced to clear off the line in a goalmouth scramble. Pressley rang the changes for the League One side and was rewarded with an opener. Jimmy Ryan raced down the right and picked out the run of sub David Ball - his neat finish hitting the underside of the bar but settling beyond the line. David Henen nearly doubled the advantage when another Ball shot rebounded into his path, the Everton loanee firing wide. 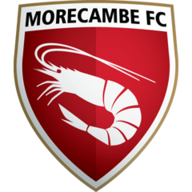 A Morecambe mix up in midfield gifted Fleetwood their second as Grant charged onto a loose ball, with Ryan picking up the pieces to rifle home from four yards. The home side had chances to put the game beyond, Henen going closest but firing wide from 20 yards.